When it comes to food, you can’t deny how the most amazing of settings can only serve to enhance your dining experience. 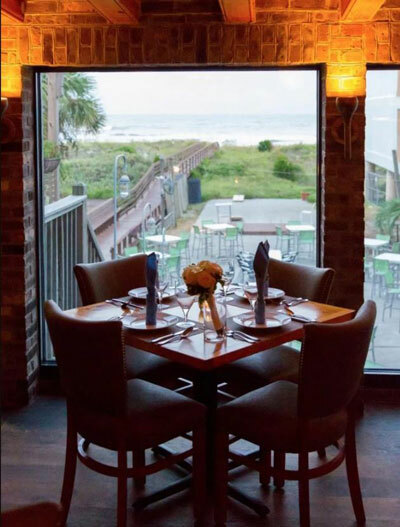 At this local eatery on the Isle of Palms, you’ll find a combination of Italian infused seafood paired with succulent oceanfront views. Take a look; this one belongs on your bucket list! 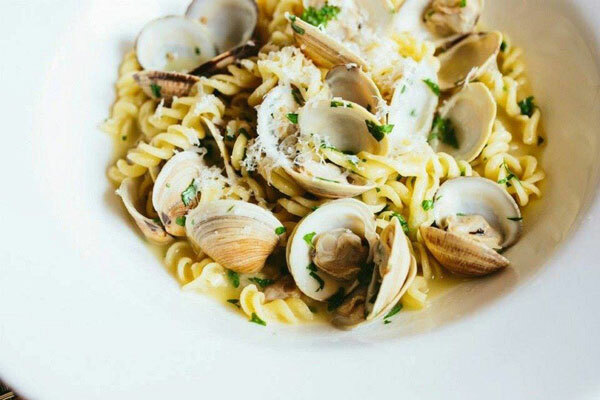 In a line-up of beach bars, condos, and ice cream shops on the front beach of Isle of Palms, Coda del Pesce is an outlier, serving octopus, snapper, triggerfish, and other frutti di mare in simple, Adriatic-style preparations. Chef Ken Vedrinski works his magic with fresh pasta both here and at his Trattoria Lucca downtown. 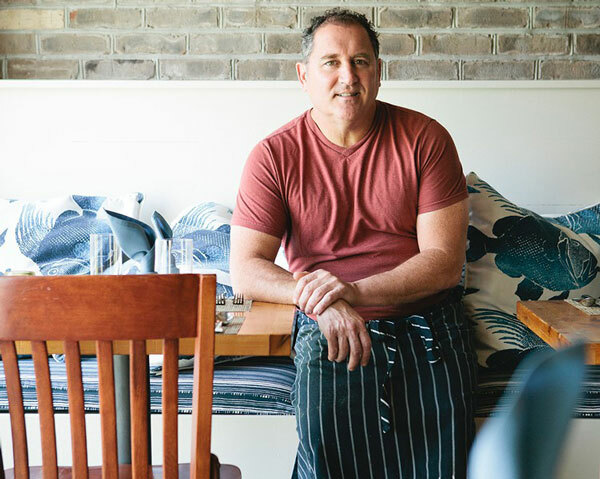 The closing of Huck’s Lowcountry Table on the Isle of Palms provided chef Ken Vedrinski with an offer he couldn’t refuse. 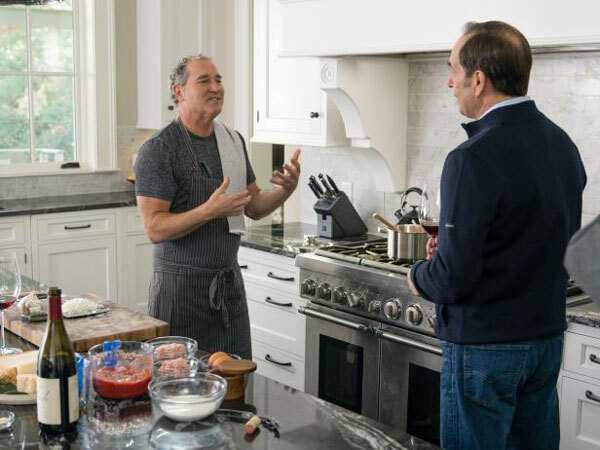 He has named his new restaurant Coda Del Pesce, tail of the fish, and along with his chef de cuisine, Rhett Elliott, they are giving the “fish whisperer” Dave Pasternack of Esca in New York a run for culinary bragging rights when it comes to crudo, pasta and fresh fish. 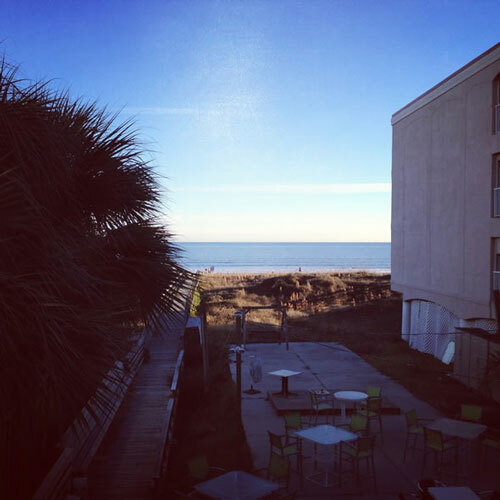 As autumn approaches and the beach crowds disappear, Charlestonians are taking advantage of the newly opened parking spaces and flocking to Coda Del Pesce. 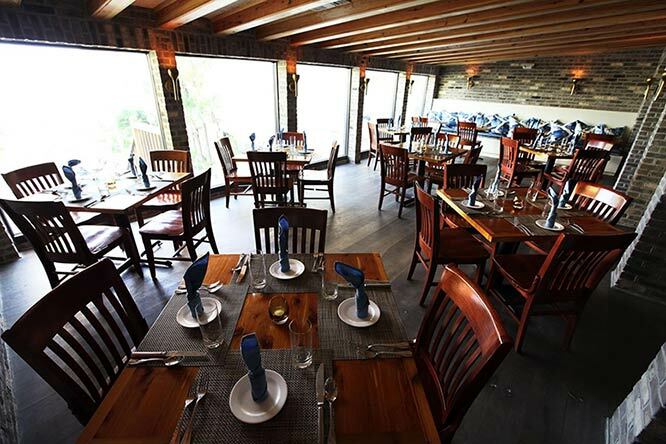 Chef Ken Vedrinski is serving up seafood as fresh as the ocean breeze wafting through the restaurant. 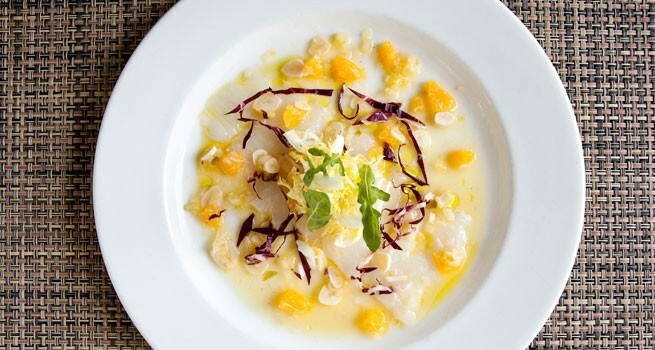 The crudos and gnudis are already a hit with reviewers and diners alike. Cook pasta until al dente. meanwhile, in a large skillet over medium, heat EVOO. Add garlic; cook 1 minute. Add scallops; cook 2 minutes, then transfer to a bowl. Add wine and crushed red pepper to skillet; bring to a boil. Cook until liquid reduces by three- quarters. Add tomatoes and butter; cook until tomatoes are hot. Add pasta and scallops; cook until scallops are heated through. Toss in basil; season. The United States is distinguished by the diversity of culinary options it offers adventurous diners, with restaurants serving the food of nearly every nation. 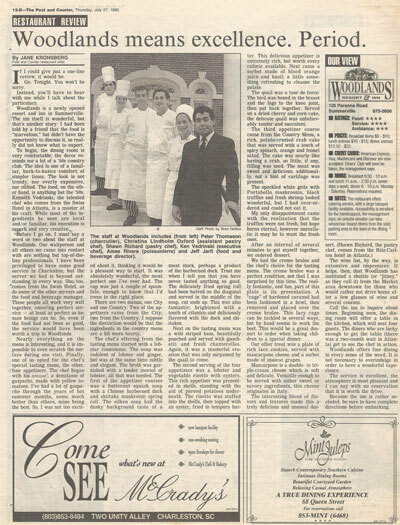 But amid this diversity, the cuisine of Italy stands alone for its popularity, its abundance, and the range of its offerings, both on the plate and in the glass. This year, our annual Wine Spectator food issue is devoted to Italy, focusing on American interpretations of some of that country’s most exciting regional specialties. 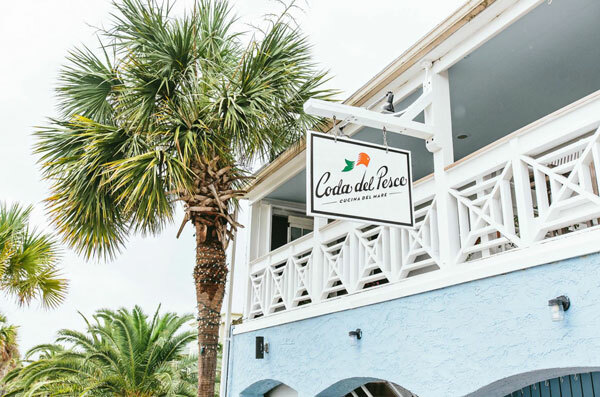 Charleston uber-chef, Ken Vedrinski, of Trattoria Lucca fame, recently opened Coda del Pesce, a new Italian influenced restaurant on Isle of Palms, South Carolina. Located 25 miles south of downtown Charleston, the restaurant, underwent a complete renovation paying particular attention to design elements to highlight the impressive seaside backdrop. New South Carolina restaurant. 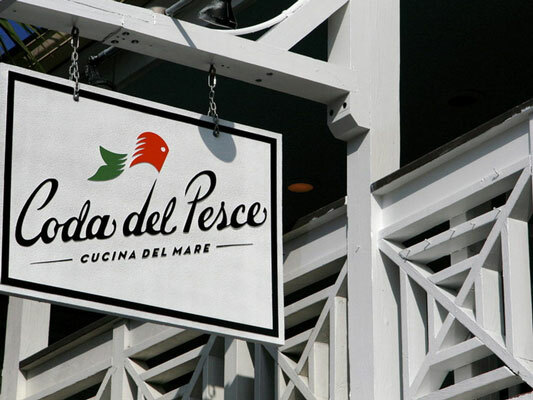 Chef and owner Ken Vedrinski’s newest venture, Coda del Pesce, opens officially today on Isle of Palms. The restaurant’s menu takes its cues from the sea but (like his other spots) still retains Ken’s signature Italian slant: dishes include octopus bolognese and grilled calamari with tomato and eggplant. You’ll want to eat the fresh catch and house-made pastas at a table near the floor-to-ceiling windows–we hear the the views are incredible. Chef and owner Ken Vedrinski’s highly-anticipated IOP masterpiece Coda del Pesce is almost here, and the early look at the space proves it’s quite a sight. There are huge windows, brick archways, plenty of reclaimed wood and just a few nautical accents to punctuate the seaside locale. And then, there’s the view. They’re still working on some of the details, but the public should be able to take it all in next week. Stay tuned for the exact date.